I had the privilege of being invited to a pre-screening of this film, and after seeing the trailer online, I jumped at the chance to watch it. I’ll admit, I had not seen the previous films in the iconic franchise, but I still had high hopes for this post-apocalyptic action movie. 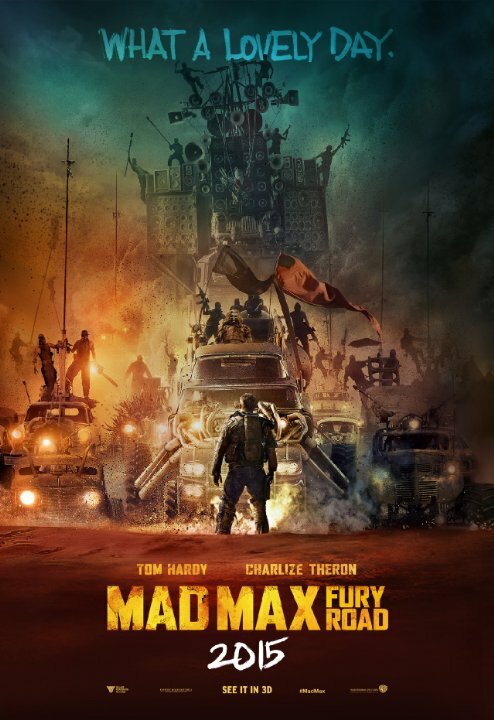 Mad Max: Fury Road is a fun adrenaline-filled thrill ride that possesses great cinematic quality. This movie takes its name and protagonist from the original Mad Max movies in the 80’s, but the best thing that it borrowed from those films is the director and his cinematic vision. We’re introduced to this post-apocalyptic setting when we meet our protagonist Max (Hardy) as a captive in the warlord’s lair. When one of the warlord’s lieutenants (Theron) steals a decked-out tanker truck, Max unwillingly gets dragged into the pursuit, and eventually joins her on her drive to a better life. On their way, they are met with several obstacles, including the warlord’s entire army of pale-skinned kamikaze freaks, the elements of the desert environment, and characters that turn into allies. Also featured are gratuitous explosions, violence, and vehicle destruction. What makes this movie good, and not just another action flick is the amount of care taken when producing all the imagery. Every shot has a cinematic quality. From the creativeness of the modified vehicles in pursuit, to the color palate used to enhance every shot, to the tiny details in the costumes. Everything pieces together to create a visually stunning work of art. Given the film’s setting, tone, and character actions, I did expect more out of the story. We do see glimpses from Max’s haunted past, but not much is explained. Same with the other characters that are trying to escape the warlord’s grasp: we see that he’s a villain, and they want to leave, but nothing much more beyond that. Given the apocalyptic setting, I expected a subtle environmental message, but that is glossed over. Overall, this film is quite exciting, but can definitely leave you with more than you expected. 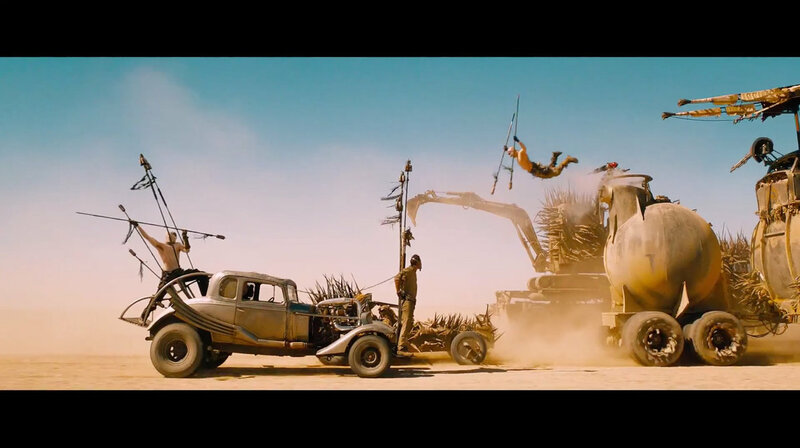 Clearly George Miller’s vision created spectacular imagery in a fun environment. Mad Max: Fury Road certainly one of the most beautiful looking action movies that I’ve had the privilege of seeing. Trevor Munson is a graduate of University of Colorado – Denver’s film program, and owner of JawDrop Films. This entry was posted in Reviews and tagged 2015, 4, action, artistic, bad, film, fury, good, jawdropfilms, mad, max, movie, review, road, screenshot, trailer by JawDrop Films. Bookmark the permalink.